High Peaks Pure Earth has translated a blogpost by Woeser, originally written for the Mandarin service of Radio Free Asia and published on her blog on May 22, 2017. The testimony of a direct participant of the Cultural Revolution in Tibet is valuable historical material. As Woeser reminds us in her introductory note, 2016 marked the 50th anniversary of the Cultural Revolution and 10 years since her two books on the Cultural Revolution in Tibet were published in Taiwan. See also a previous essay titled “Dawa, a Red Guard from Lhasa: ‘That Day, The Jokhang Temple was Only Destroyed on the Surface, The Real Destruction Happened Later’”. Note by Woeser: in 2006, the Taiwanese publisher “Locus” published my two books “Forbidden Memory” and “Tibet Remembered”. “Forbidden Memory” is a commentary on the photos that my father took during the Cultural Revolution as well as my own research. “Tibet Remembered” is an oral history of people affected by the Cultural Revolution in Tibet. I have introduced them many times. When I was writing “Forbidden Memory,” I encountered a total of over 70 interviewees; 23 of them and their stories make up the book. 20 of them are Tibetan, two are Chinese and one is Hui. They include Red Guards from Lhasa and the founder of the Rebel Faction, many Red Guards and enthusiasts, but also members of the aristocracy who were criticised at the time, lamas, medical doctors, Cultural Revolution journalists, PLA officers etc. Last year marked the 50th anniversary of the Cultural Revolution, so from August last year, I started to publish the important interviews in “Tibet Remembered” on my Radio Free Asia blog. Yuan Zha (real name): Male, Tibetan, Vice Chief of a government bureau in Shigatse, already retired. (2017 note: Has already passed away). I was a second term student at the Central Political and Legislative Affairs Cadre School. I entered school in 1959, graduated in 1964 and remained there to become a teacher. At the time, the school had two ethnic minority classes: A Tibet class and a Xinjiang class. There were about 260 Tibetan students in total. All other classes and grades were made up of cadres from public security bureaus from all across the country to be trained here. After the “May 16 Notice” from 1966 (referring to a “Circular of the Central Politburo” issued on May 16, 1966, which is commonly believed to have sparked the Cultural Revolution), we began to have Red Guards in our school. Back then, I was 24 years old. As a teacher, students once exposed me on a big poster, saying that I lacked feelings for the proletariat. This was because once, there was a female student whose father died of illness and who felt very upset, crying all the time; I failed to show my empathy and instead even criticised her because I was afraid that this would interfere with her studies. But it was only one big poster, I was ok, nothing actually happened. 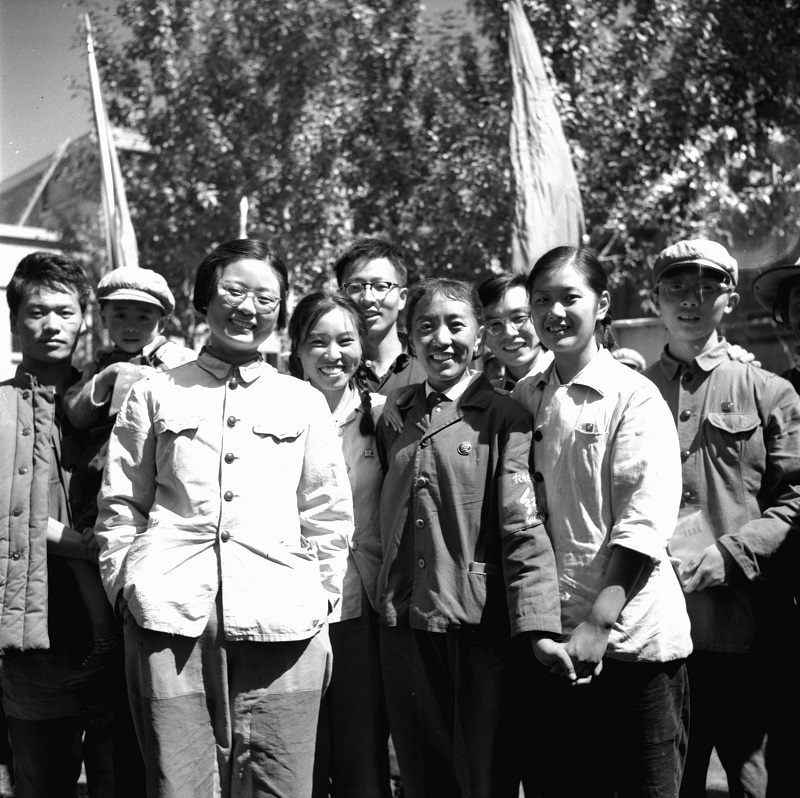 At the time, the majority of Tibetan students in Beijing would be at the Central Institute for Minorities. They also formed Red Guards and also had various connections with our school. In early August, the Central Institute held a big meeting to criticise and expose Panchen Rinpoche, which we also attended. Students and teachers of both schools combined added up to 70 or 80 people, all Tibetans; we organised several buses and went to Panchen Rinpoche’s residence at the Imperial Academy to arrest him. We found him in his room, very calm, not showing any fear or panic. The Red Guards captured the entire family. Among them were his younger brother’s wife Peyang, who was my classmate when I was studying in Shigatse. I remember when we were back on the bus, they made her kneel on the floor. The weather was hot and she was wearing thin clothes; the bus floor was made of wooden planks, so as soon as the bus started jolting, her knees were crashing heavily onto the wooden floor. I could see in how much pain she was, so I secretly stretched out my feet so that her knees would fall onto my shoes instead and not cause so much pain. This was discovered by people from the Central Institute who later told my school that there was one teacher who sympathised with the exploiting class. But of course I denied everything and they let me off. I was fine. On our bus there was also the younger brother of Panchen Rinpoche, his wife and his long-bearded teacher. Panchen Rinpoche was on a different bus. As soon as we got off, I saw Red Guards running over from all directions, shoving Panchen Rinpoche around, which then quickly turned into beating and kicking. Peyang’s hair was randomly and messily cut off. At the big criticising and denunciation meeting, the Red Guards used a leather belt to whip Panchen Rinpoche so hard that the metal buttons on the belt came off. He did not say a single word. But because it was burning hot, he was covered in sweat. The session went on for an entire day. Afterwards he was locked up in a small room. On the second day, he was suddenly transferred to our school. Maybe because someone in the Central Government had heard about what happened. We did not criticise him, we protected him well, whenever we ate, we would also give something to him; I also went to bring him food. But he only ate very little. A day later, however, Panchen Rinpoche and his family all disappeared. But this time I had no idea where they were moved to. Around the end of August, me and two other teachers took 50 or 60 students across the country to establish revolutionary networks. We went to Chongqing, Wuhan, Shanghai, Guangzhou, Yan’an etc. It was great fun. Wherever we went, there would be stations for Red Guards, giving us food and shelter. We didn’t even need to pay to take the train. We spent a few months travelling around until we returned to school. 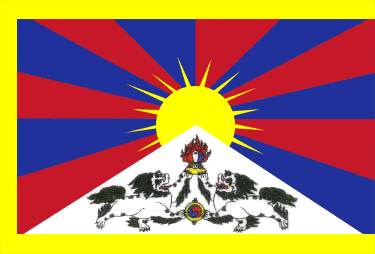 In the spring of 1967, I returned to Lhasa, also to establish revolutionary networks there. This time it was only 40 of us. We took a coach first to Liuyuan and then to Lhasa. Lhasa was noisy and in an uproar, there were many Red Guards there from China who tried to establish networks. But we had no direct dealings with them. I stayed at Tsechokling Monastery, which had long been transformed into a public security school. During the daytime, students had to create compost and then deliver it to the farms. In the evenings they could return home. They were all from Lhasa. I remember the slogans we saw at Liuyuan bus station. One was written in Tibetan, reading “Protecting the Emperor is a crime, criminals should die a thousand deaths”; a different one was in Chinese: “Pay attention to where Zhang Guohua is going”; and another one in Chinese: “The young Song never ages, the rebel faction never fades.” These were all written by the rebel faction. The last one relates to the name of the commander of the rebel faction, Tao Changsong; at the time it was translated into Tibetan. Even today, quite a few people remember him.